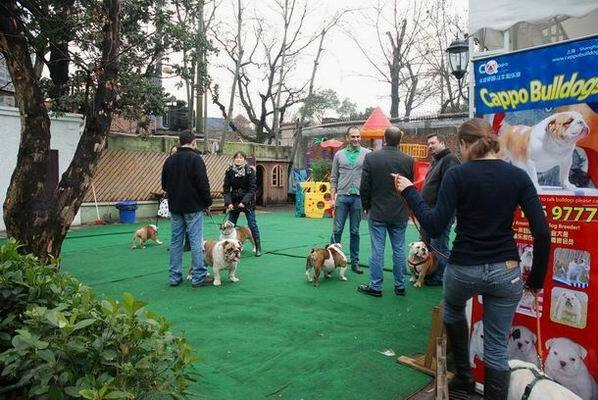 On January 31, 2010 Cappo Bulldog first Bulldog Party It's looked easy but it not to get more than 20 bulldoggers and 10 bullies together for a party. 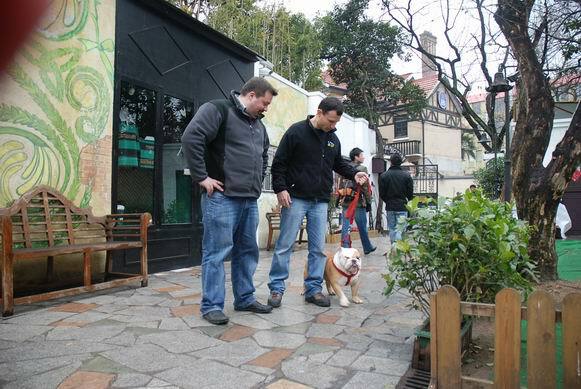 There where many more in the Shanghai area that wanted to come but out on business, ect, many more throughout China that couldn't come because of the long travel time. 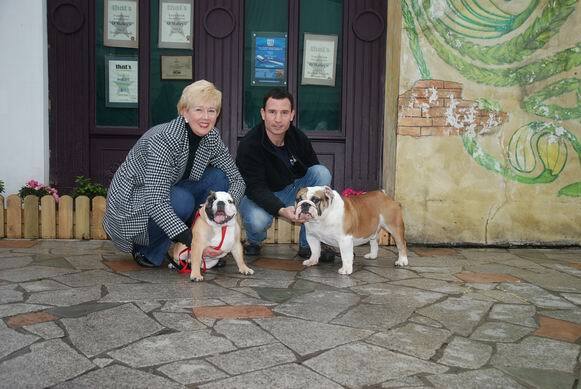 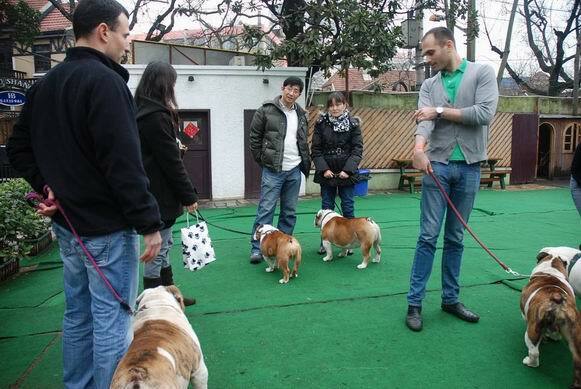 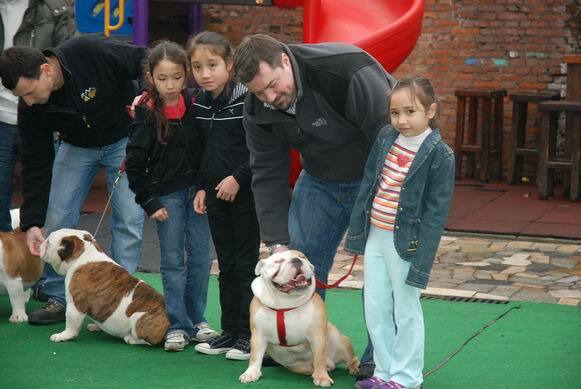 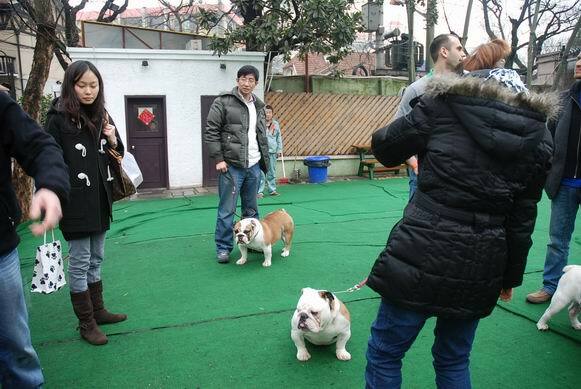 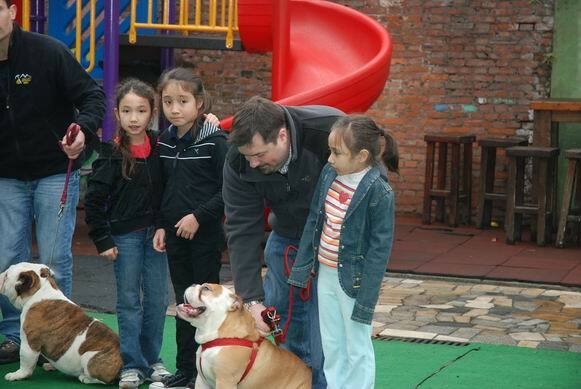 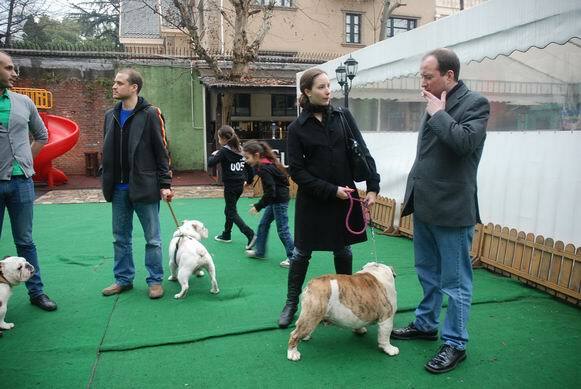 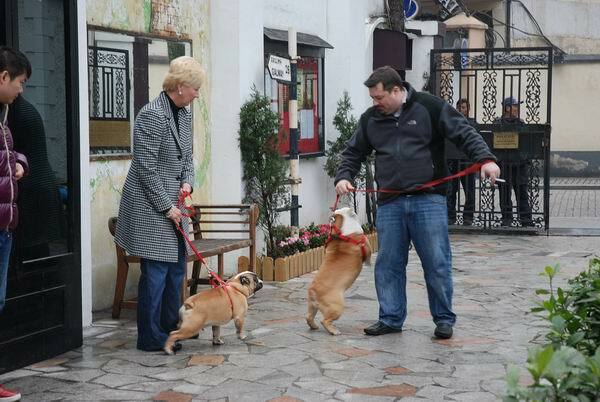 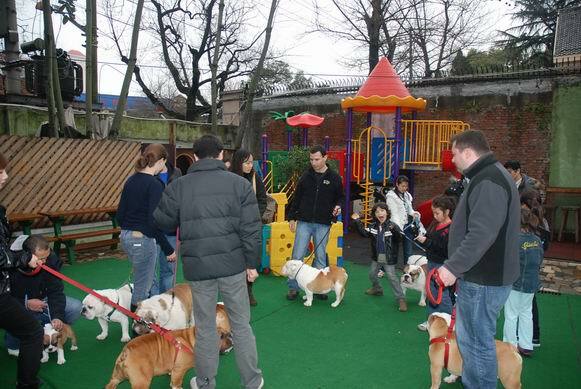 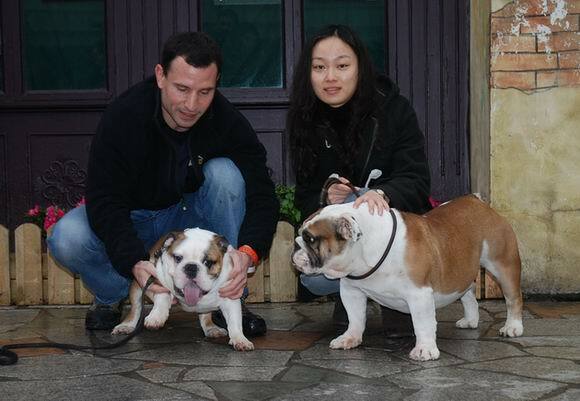 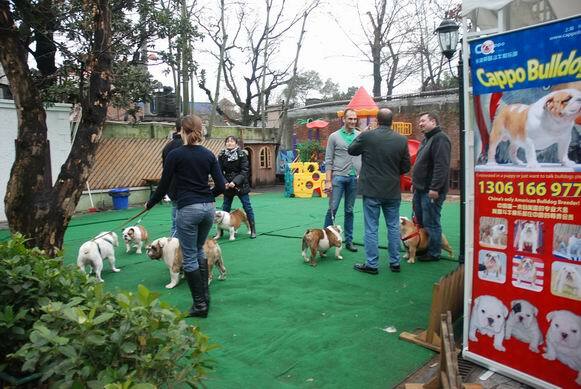 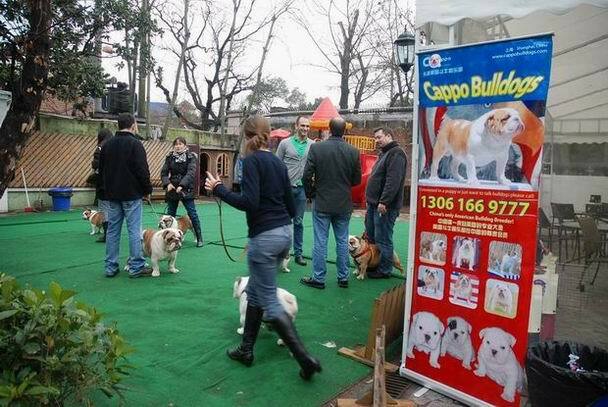 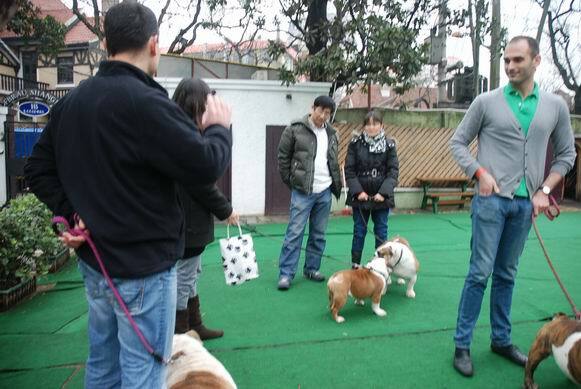 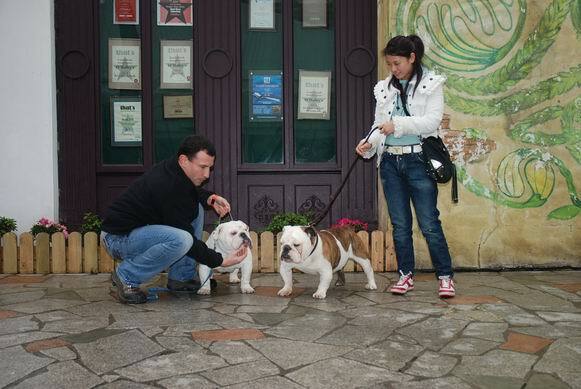 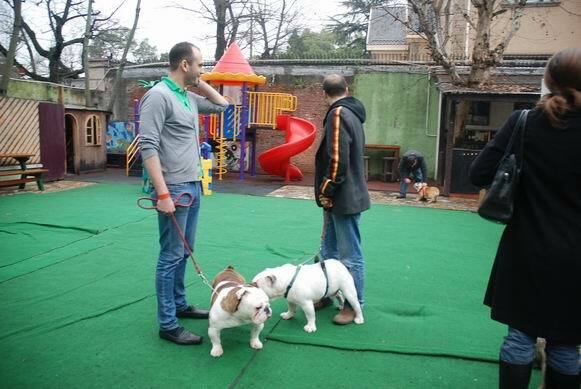 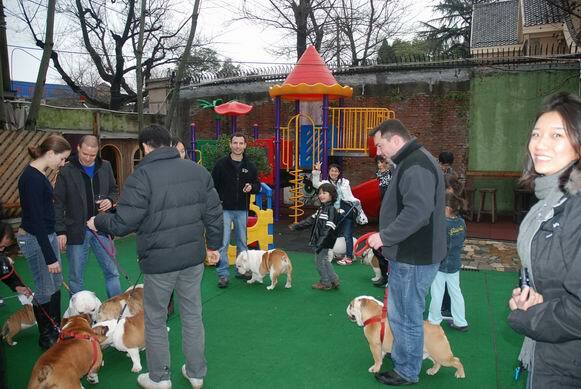 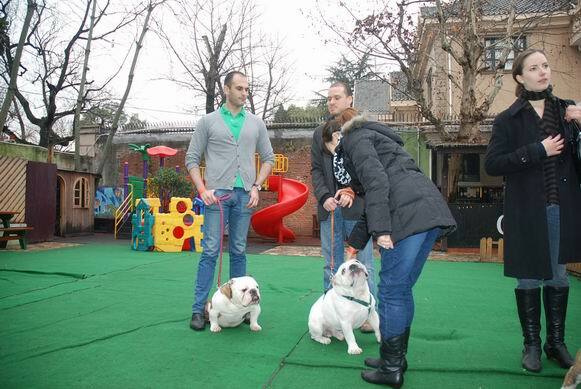 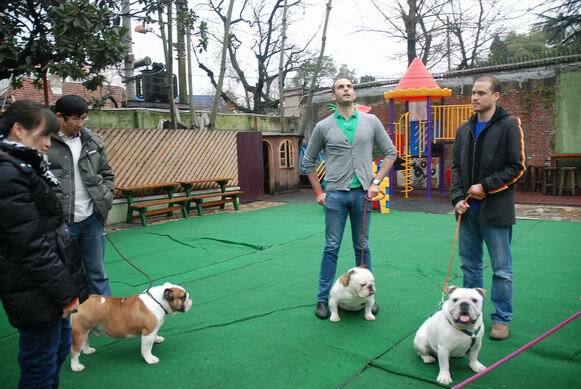 But as my our Cappo Bulldog Club keeps increases in numbers we hope to be able to have get togethers all around China. 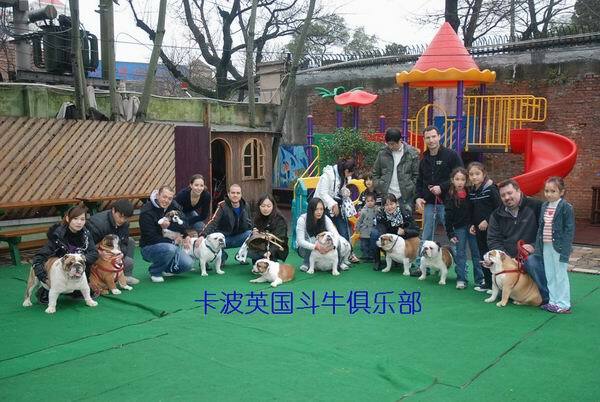 Go Cappo Bulldogs Go China Bulldogs. 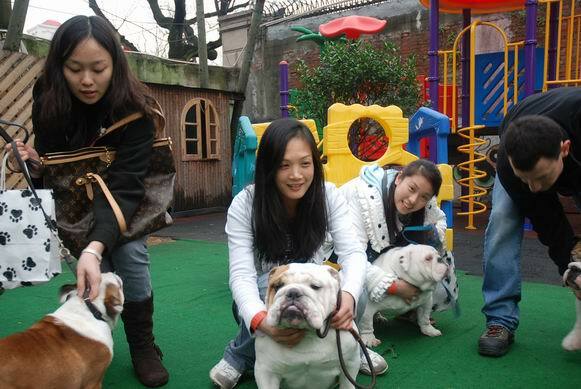 We love our bulldogs just as much as any other country hahhahaha! 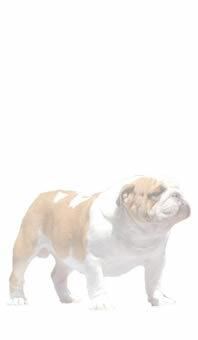 Helped Cappo's Tank take a few stacked shots. 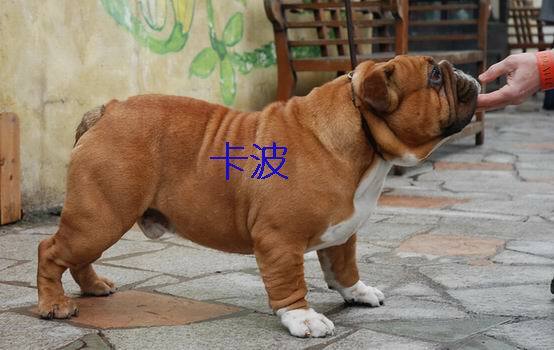 Cappo's Surge and son Cappo's Tume. 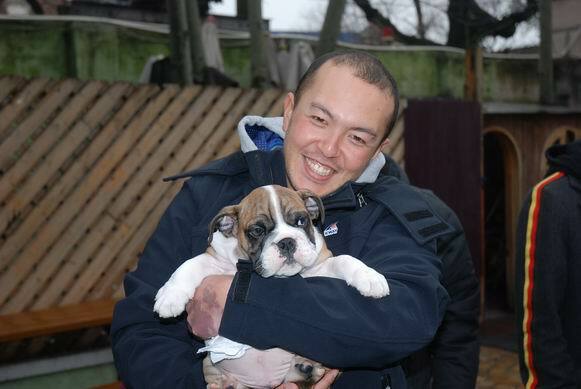 Tume at 2 month already stacks like a Champion! 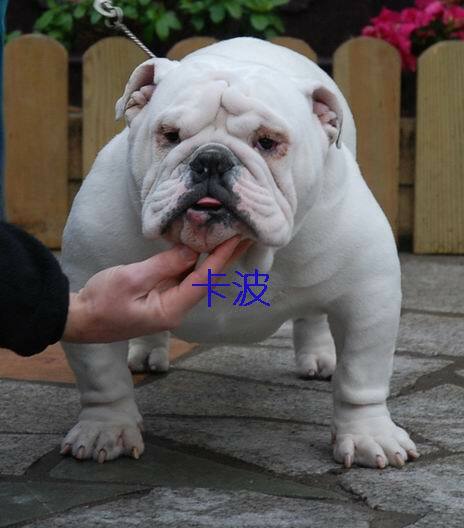 卡波's 英镑和爸爸美国冠军英雄。Pound and father Am Ch Coastbulls Valiant Hero. 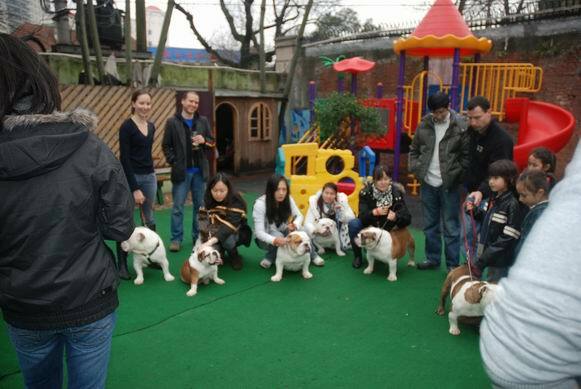 Pound is impossible to stack! 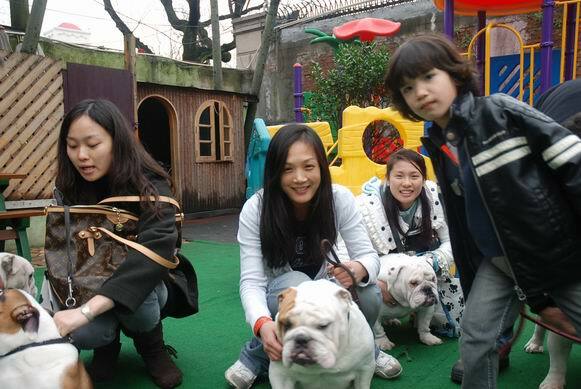 Hero, Unee, Shorty trying to take a picture. 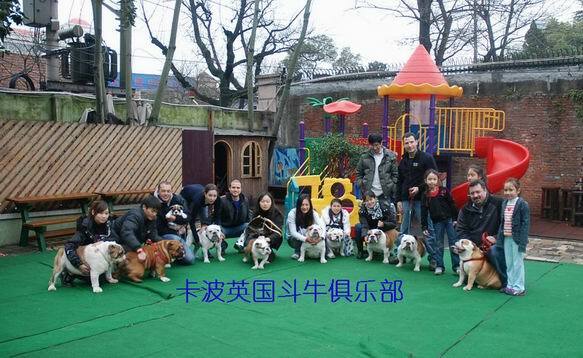 英雄，圆满，修力 在准备拍照没成功。哈哈哈! 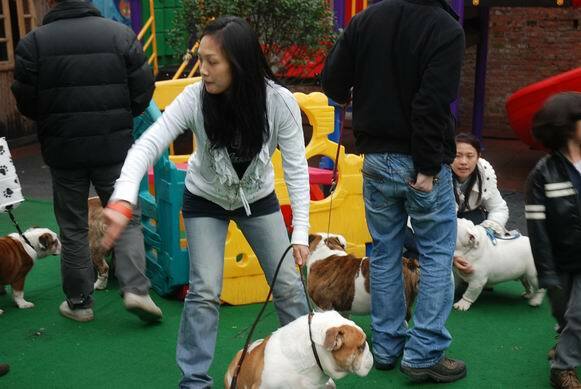 Our number one bulldog Champion Might Mytoys Legend in the Making-AKA- TOBY. 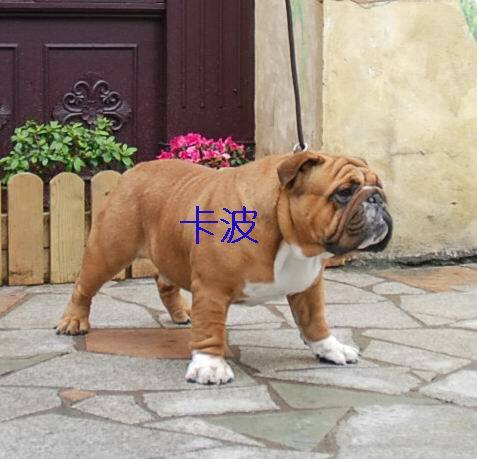 中国超级种公没得比-TOBY!